Want more than the basic information on Reiki. This page contains information on Reiki that goes beyond the basics, of interest to current Reiki practitioners and others.. and includes a link to the Reiki explorer website for even more. I never have worn rings, except my wedding ring, but in recent months, I' have been wearing rings every day. The reason for this is a comibination of appreciation for the prettiness of jewelry, but also wearing jewelry with intention. The qualities of the stones can be added to my life. Your throat and hear are about expression and feeling. What do you want to express into the world? Hands concern action, what you receive and what you give. The left hand is the receiving hand, the qualities you wish to receive in your life. Your right hand is the giving hand, the qualities you wish to put out into the world. Ears are about what you listen to, and your desire to be heard. Sort through your jewelry and figure out what pieces have which meanings to you. Perhaps you have a necklace as a special gift from a loved one, or bought yourself a ring on a special day. Perhaps the culture from where the piece originated or the colour of the stone makes you feel happiness. The next time you are in a store with jewelry, think about what qualties you would like to enhance in your life. Books relating to crystals, stones, and their meanings are available. Use these to stir inspiration and imagination, but do not let these writings confuse you about your personal feelings to your jewelry. Their opinions are theirs, but it is your emotional reaction to the jewelry which matters. 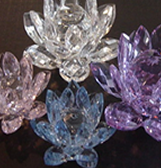 Its great to use Reiki to charge your jewelry, and even presents that you give away. While there are many variations on how to charge objects, this is the one I use. Intention is the most important thing with Reiki. Intention controls what happens. CLEAR : Draw the power symbol over the object to connect to 'any energy that doesnt need to be in the object" and mime grabbing the energy and tossing it away. CHARGE: Draw 3-10 Power symbols over the object with the intention of filling the object with energy. You have now made the object into an "Energy Battery"
Say the intention 3 times into the object. Draw a power symbol to seal the intention on to the object. SENSE: Examine your charged object for changes from what it was when you started. Charging crystal/object. first use Chokurei to clear, then to charge. Then to seal.